If you've been reading my blog over the past month or so you may have seen an increase in face mask blog posts. It's safe to say I've become obsessed with them! My skin has been so sensitive and eczema prone over the last couple of years that I haven't been able to use them. This past year though my skin has definitely changed and I've gradually introduced face masks to my skin care routine. I'm still quite hesitant about using them though and haven't quite got the courage to try the mini sample of the Ren Radiance Renewal Mask which I have in case my skin reacts badly to it. Some day though I plan to use it, even if it's just on my forehead which seems to be the most normal part of my face. Recently I've been using this trio of masks which seems to have made a huge difference in how my skin looks. Each one is designed for a different task and covers all areas of concern on my face. First up is the Silver Powder from Mario Badescu which I use on my nose and chin to remove clogged up pores and blackheads. You run a cotton ball or cotton bud under water and roll it in the powder. Once you apply it to the skin it has turned into a cream and it easy to apply. You leave it on for 10 minutes and remove with either water or a toner. I like to use the Liz Earle Skin Tonic as it's very gentle, perfect as the Silver Powder can leave the skin feeling a little bit dry. It's very effective mask though but best used only once a week. It's available in two sizes but I bought the smaller on as it was only £8 and will last forever, you only use a tiny bit at a time. 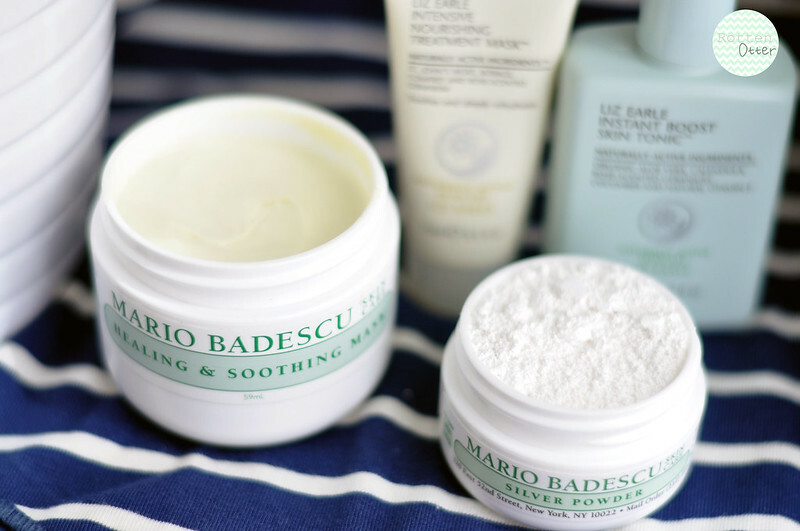 Next up for any red irritated areas of skin as well as on spots I use the Healing & Soothing mask also from Mario Badescu. This is a great mask to combine with masks aimed at acne as it is very soothing and hydrating. I can apply it to a very angry looking spot, leave it on for 20 minutes, and when I take it off with toner the spot looks a lot better. I also use this all over the face to soothe the skin and it works a treat. If I'm using it this way then I remove it with a Liz Earle sponge or muslin cloth and warm water. To combat dry skin I apply Liz Earle Intensive Nourishing Treatment mask all over my face and leave it on for 10 minutes. Once washed away my skin just feels a lot more plump, smoother and any dry patches have disappeared. What are your go to masks? 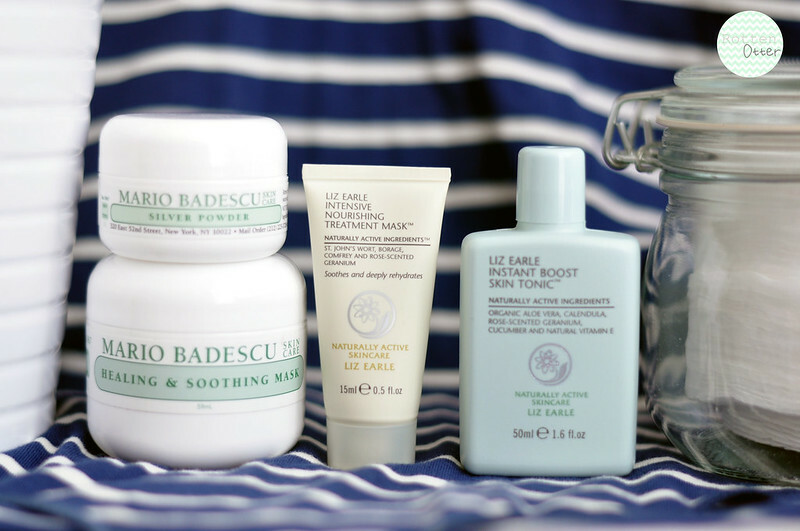 I love the Liz Earle stuff as well. I've just ordered a full size Deep Cleansing Mask after getting a little sample in a kit a couple of months ago. Lasts forever! If these were available in my country, I would have gone out and purchased them immediately!